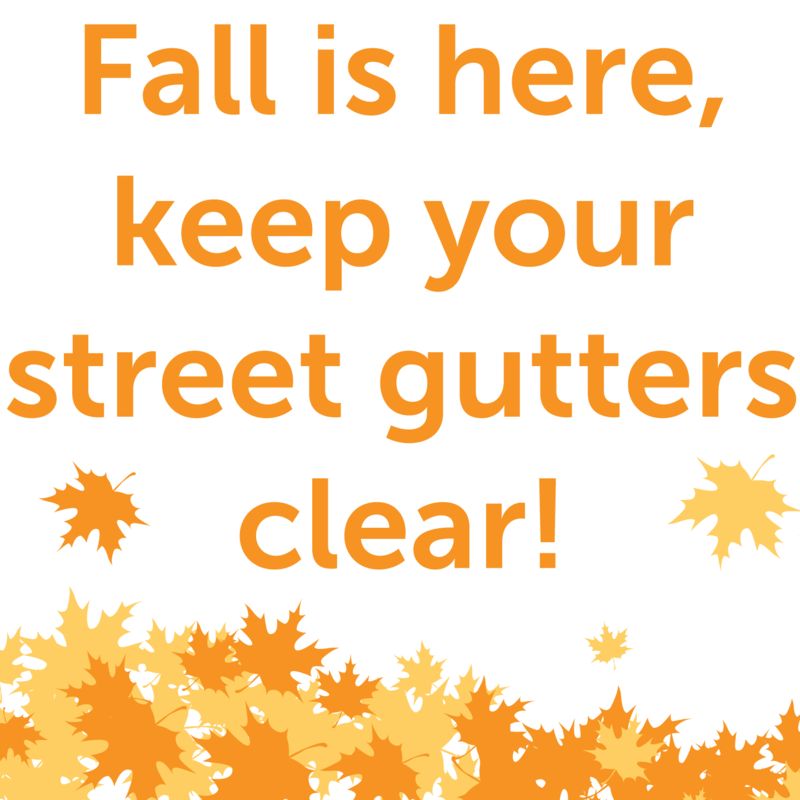 Fall is here, keep your street gutters clear! This fall, Salt Lake City is reminding residents to please keep their street gutters clear of leaves and debris. Our street sweepers are hard at work, but they need your help! By clearing your street gutter of leaves and debris, you will help prevent stormwater drains from clogging, which can result in street flooding, protect water quality and minimize the burden on the sewer system from surface debris. Salt Lake City residents can also request an extra can for leaves by calling (801) 535-6999 or emailing slcsanitation@SLCgov.com (please include your name, address and phone number).